We’ve just made your traditional “paper piecing” a whole lot easier by “piecing” these spool blocks in-the-hoop! Machine Embroider by Number™ is a new collection of designs in the M.E. 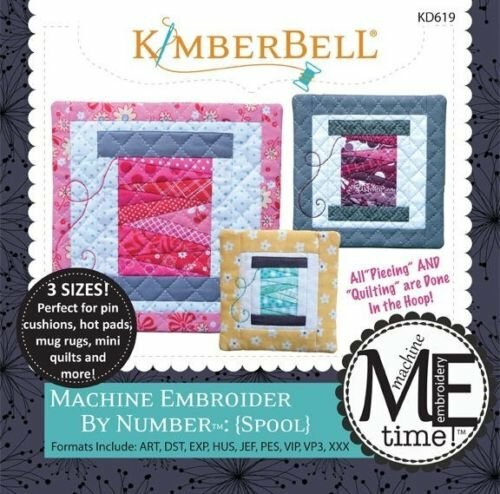 Time™ Series by Kimberbell.